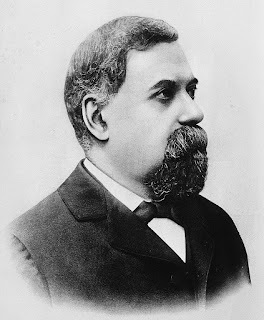 The astronomer Giovanni Schiaparelli, whose observations in the late 19th century gave rise to decades of popular speculation about possible life on Mars, was born on this day in 1835 in Savigliano, about 60km (37 miles) south of Turin. Schiaparelli worked for more than 40 years at the Brera Observatory in Milan, most of that time as its director. 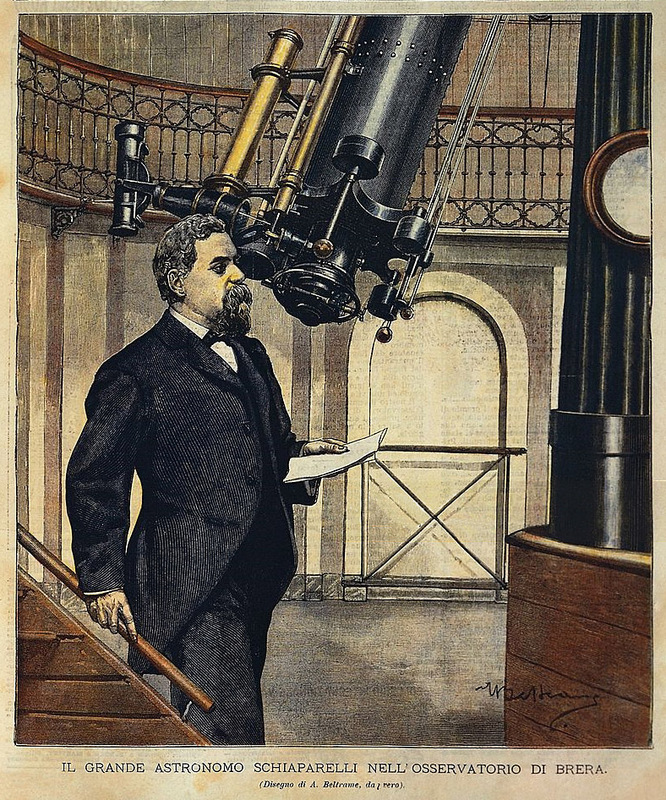 It was in 1877 that he made the observations that were to cause so much excitement, a year notable for a particularly favourable 'opposition' of Mars, when Mars, Earth and the Sun all line up so that Mars and the Sun are on directly opposite sides of Earth, making the surface of Mars easier to see. Oppositions occur every two years or so but because the orbit of Mars is more elliptical than Earth's there are points at which it is much closer to the Sun than at others. An opposition that coincides with one of these points is much rarer, probably taking place only once in a lifetime, if that. Schiaparelli was deeply fascinated with Mars and knew that this opposition gave him the opportunity of his lifetime to make a detailed survey of the red planet and made every effort to ensure his vision and his senses were as sharp as they could be when he put his eye to the telescope. In his memoirs, he noted that he avoided "everything which could affect the nervous system, from narcotics to alcohol, and especially... coffee, which I found to be exceedingly prejudicial to the accuracy of observation." 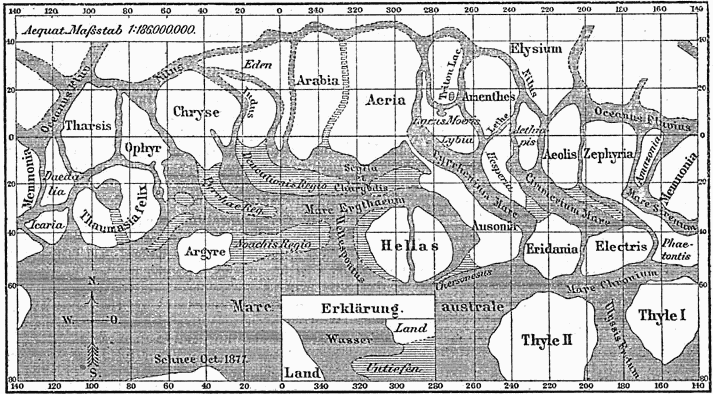 In previous research, Schiaparelli had noted the appearance of 'seas' and 'continents' but during the 1877 opposition he was convinced he could see a network of links between his so-called 'seas' which he described as "canali". Schiaparelli used the word to indicate "channels" but in the reports of his findings in the English language press, particularly in the United Kingdom and the United States, the word was translated as "canals". Coming soon after the construction of the Suez Canal, a a major feat of engineering on Earth, the possibility that Mars had a system of such artificially constructed waterways caused a frenzy of excitement, giving rise to much hypothesis and speculation about there being intelligent life on the planet. Among the most enthusiastic supporters of this theory was the American astronomer Percival Lowell, who dedicated much of his life and personal fortune to building on Schiaparelli's work, convinced he could prove that life on Mars did exist. Later, notably as a result of the work of another Italian astronomer, Vincenzo Cerulli, astronomers developed a consensus that the "canals" were an optical illusion, although the public hung on to the notion of life on Mars until halfway through the 20th century. In 1938, a radio adaptation in the United States of the HG Wells novel, The War of the Worlds, which included simulated news bulletins, caused many listeners to believe that an invasion of Earth by Martians was actually taking place. The canal hypothesis was not finally laid to rest until spaceflights began in the 1960s and telescopes much more powerful than were available to Schiaparelli and his contemporaries confirmed that his canals simply did not exist. At the time of the discovery, though, Schiaparelli had been convinced what he was seeing was real and produced detailed maps, showing his 'seas', land masses and numerous channels, that created an image of the surface of Mars that resembled the lagoon and islands of Venice. 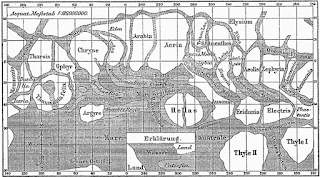 Of his channels, he wrote: "It is [as] impossible to doubt their existence as that of the Rhine on the surface of the Earth." His hypothesis was that Mars was a planet, like Earth, with seasons and that water was produced by the melting of a polar ice cap. The system of channels, he suggested, carried this water to other parts of the planet, providing irrigation in the absence of rain. Although he felt these were more likely to have developed naturally, he did not rule out the possibility that some were created artificially. 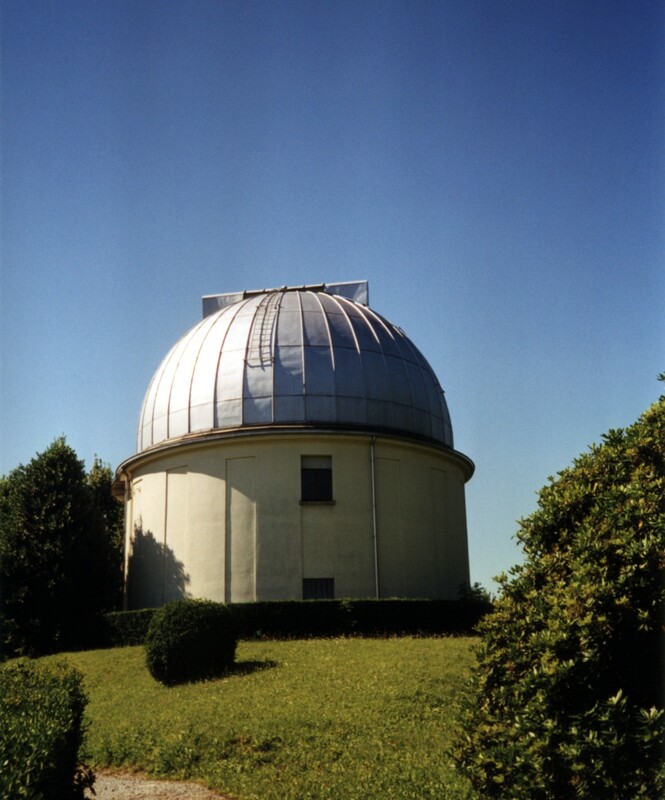 Educated at the University of Turin, Schiaparelli worked at the Pulkovo Observatory near St Petersburg in Russia from 1859 to 1860 before being appointed to the staff of the Brera Observatory. He was also a senator of the Kingdom of Italy. The fashion designer Elsa Schiaparelli was his niece. He died in Milan in 1910 at the age of 75. 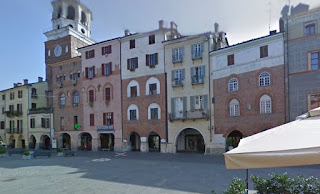 He is buried at the city's Monumental Cemetery.